2013 was the year that was going to change Catherine’s life forever. After being a wonderful wife, a dutiful daughter-in-law and royal, She was heading towards motherhood. 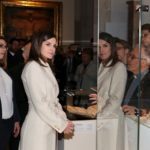 The first pregnancy that always put new mothers-to-be under lots of pressure, came with another concern for Catherine – Media and Public attention. Her every move was being scrutinized. Her every outfit and action was going through the microscope. 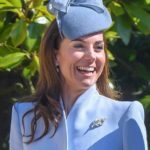 But with a loving and caring husband by her side and the constant support from Royal Family and Middleton Family Catherine showed the world that going through pregnancy is a beautiful phase of life and it can be equally fashionable and elegant. On January 14 2013, St. James Palace announced that the child is due to be born in July 2013. Catherine was seen first time in public at the Cirque Du Soleil, which they attended with the Middleton Family and friends to mark Catherine’s 31st birthday. Embed from Getty ImagesCatherine’s first engagement of the year was a visit to the National Portrait Gallery, where she and Prince William viewed Catherine’s first official portrait, by artist Paul Emsley. Catherine was wearing Whistles Sofie Rae Dress accessorised with black belt with Asprey Pendant and Kiki McDonough green amethyst gold and diamond earrings and black suede Emmy Natasha clutch. After few days Catherine was seen out and about in London doing some shopping. Embed from Getty ImagesThat year Catherine returned to Cheltanham festival with Prince William after five years on March 15. Before that the couple was there in 2007, seen quite stressed shortly before their famous breakup. Catherine was wearing Joseph Camel-Blush Double Breasted Coat with Stuart Weitzman ‘Zipkin’ Boots, Lock & Co Betty Boop hat, Kiki McDonough Eternal Citrine Cushion & Diamond Earrings, Emmy Natasha Clutch and Cornelia James bow gloves. Embed from Getty ImagesOn April 2013, Duchess undertook her first official visit to Scotland with Prince William where she is known as Countess of Strathearn. It was two days visit to Scotland on April 4 and 5. 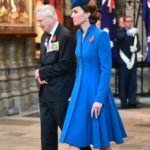 On First day Duchess was wearing Moloh Tartan Coat, Aquatalia ‘Rhumba’ Boots, sapphire and diamond earrings with black suede clutch. Embed from Getty ImagesFor day 2 in Scotland, Duchess chose red Armani Coat with Stathearn tartan scarf, Cornelia James Pure Wool Side bow gloves, Kiki McDonough green amethyst drop earrings and Aquatalia ‘Rhumba’ Boots. Catherine attended the National Review of Queen’s Scouts at Windsor Castle on April 21 2011. Catherine who has privately volunteered with Scouts Association since January 2012, was wearing an elegant Mulberry Mint Cotton Tweed Frayed Coat, Whiteley Cappuccino hat, L.K. Bennett Sledge Pumps and Avona Clutch and Kiki green Amethyst earrings. Embed from Getty ImagesThat year we saw Catherine undertaking an engagement on her wedding anniversary for the first time. Catherine spent April 29 at Naomi House supporting Children’s Hospice Week. She was wearing beautiful Tara Jarman Peach Coat, an UFO peach dress with Annoushka pearls, L.K. Bennett sledge pumps and carried L.K. Bennett Avona Clutch. Embed from Getty ImagesCatherine undertook her last solo engagement before going on Maternity Leave in June 2013. She christened the Royal Princess boat that was also her another first. Duchess wore Hobbs Dalmatian Print Coat, white UFO dress, black fascinator by Sylvia Fletcher from Lock & Co, Episode ‘Angel’ pumps and Annoushka pearl earrings. She was carrying a customised version of Alexander McQueen Wicca Mini Satchel. Embed from Getty ImagesHer final engagement before Maternity leave was the Trooping the Colour parade in 2013. Going with pink coat dress, She once again chose her trusty label Alexander McQueen, for the big appearance paired with Jane Corbett hat, McQueen Clutch and Pearl earrings. Embed from Getty ImagesWe all would never be able to forget the great-Kate-wait of 2013. On July 22, 2013 Catherine was admitted to the St. Mary Hospital in Paddington in the early stages of the labour – the famous Lindo Wing where Princess Diana gave birth to her both sons. Embed from Getty ImagesAfter wait of hours finally the news came. 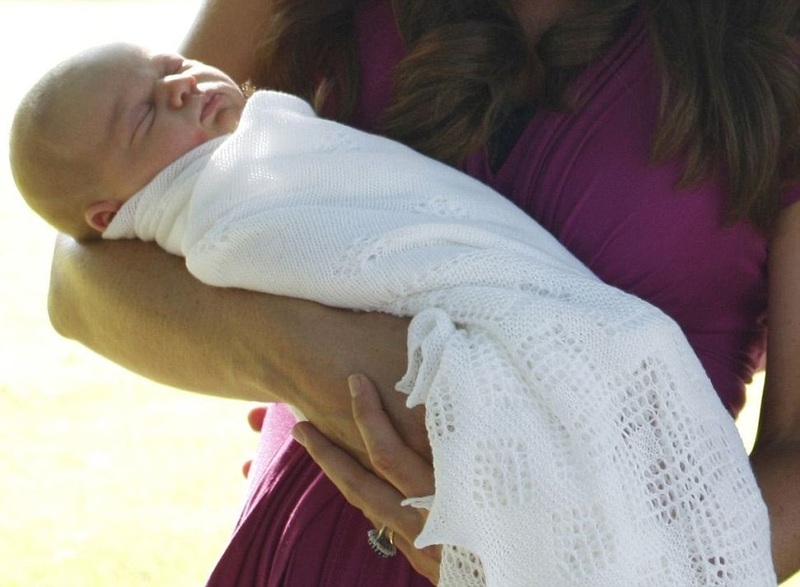 Duchess of Cambridge gave birth to her first child – a healthy baby boy weighting 8 lb 6 oz. Embed from Getty ImagesOn July 23 2013, another Prince came out of the Lindo Wing doors in the arms of his mother. 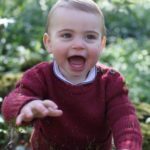 Catherine and William proudly introduced their first child ‘His Royal Highness Prince George Alexander Louis of Cambridge‘ to the world before leaving for the Kensington Palace. Catherine stepped out in bespoke cornflower blue crépe de chine polka dot dress from one of her another go to label Jenny Packham to introduce her first child to the world. She paired the dress with Pied A Terre Imperia Wedges and Kiki McDonough Citrine Drops. The new mother needed all the attention and care from her family, so after meeting The Queen and new uncle Prince Harry, Catherine moved to her parents home for few weeks before leaving for her then home with Prince William in Angelsey. 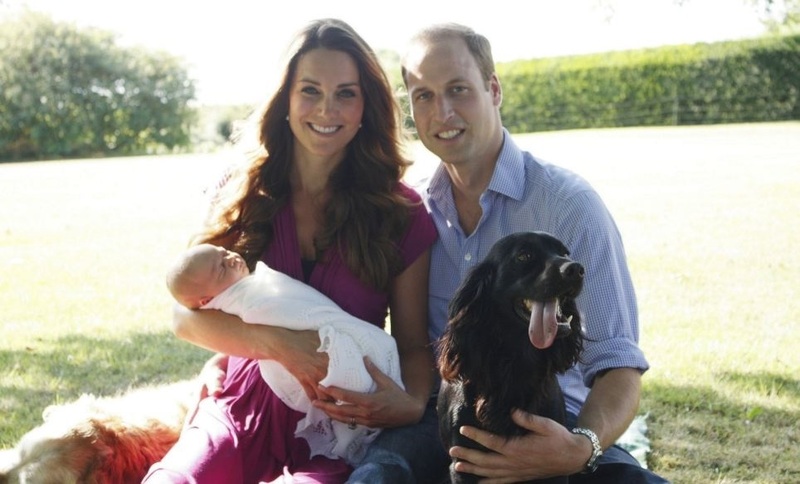 On August 22nd, 2013 the first family portrait of Cambridges were released. The picture was clicked by Catherine’s father Michael Middleton at their home in Berkshire. Catherine chose Jolene Dress by Séraphine paired with her Annoushka pearl earrings. Embed from Getty ImagesCatherine’s first public appearance after pregnancy was the Ring O’ Fire Marathon. Catherine was looking effortlessly chic in her Ralph Lauren Estate Custom Riding Jacket, Zara top, black skinny jeans and Pied A Terre Wedges. She finished her simple look with Kiki Mc Donough ‘Grace’ earrings, Gucci watch. Embed from Getty ImagesIn September 2013, Catherine and William moved to their new official residence Apartment 1A at Kensington Palace and Catherine made her first official appearance at the Tusk Trust Awards on September 12 2013. Duchess returned to royal duties in glittering €2389 sequin gown Jenny Packham, Jimmy Choo vamp sandals paired with diamond earrings and bracelet. Embed from Getty ImagesCatherine’s first solo appearance since becoming a mother was on October 18 2013 when she visited SportsAid Athlete Workshop at Olympic Park. Duchess was wearing her Smythe Navy One Button Blazer, Ralph Lauren ‘Tori’ Breton Striped Tee, J Brand Skinny Jeans, Stuart Weitzman Corkswoon Wedges, Kiki McDonough ‘Grace’ earrings and Gucci Stainless Steel gold plated watch. The Christening of Prince George took place on October 23 2013. Catherine chose an extremely elegant Alexander McQueen ivory coat dress paired with Georgie hat by Jane Taylor, Kiki McDonough Citrine Drop earrings, Russell and Bromley Park Ave pumps and Gucci watch. December 03 2013 marked another first for Catherine. She attended the annual Diplomatic reception at the Buckingham Palace – her first white-tie event as a royal. It was the first time after her wedding we saw her wearing a tiara. Catherine debuted The Queen Mother’s Papyrus tiara that night paired with Alexander McQueen gown and Queen’s diamond chandelier earrings. The Christmas that year was Catherine’s first as a mother. She celebrated the Christmas at Sandringham with Royal Family. For the morning service Catherine was wearing an UFO Cream Coat, Really Wild Clothing Cashmere Mix Tartan Wrap in Claret. For the main service of the day Catherine chose Alexander McQueen Tartan Coat Dress, Gina Foster hat, Aquatalia Rhumba Boots, Kiki McDonough green amethyst drop earrings.